Now I know what you are thinking. That is one UGLY owl. 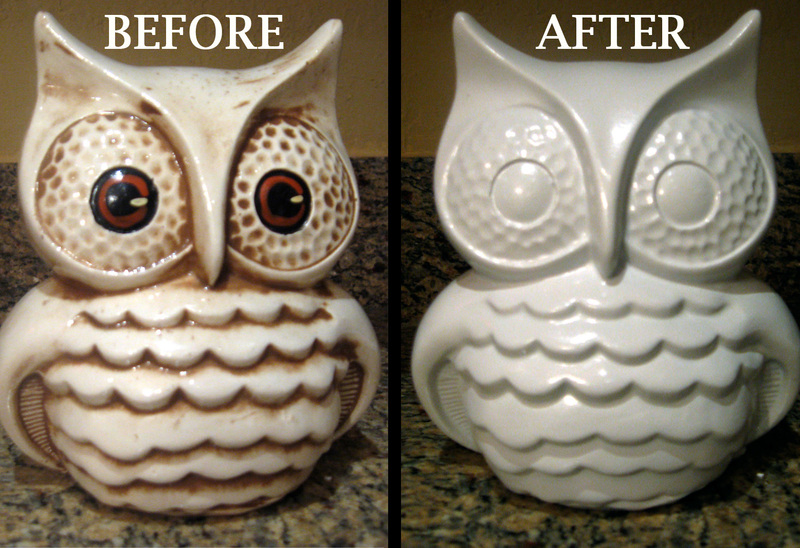 And you are asking yourself, why did I waste $3 perfectly good dollars on an ugly owl? That could buy me half a Starbucks Latte!! All it took was a little of spray paint that includes a primer in high gloss white. And tonight I almost dropped dead when I found THIS on etsy. Price Tag: $40!! Look familiar?!? I guess I just saved myself $34! Now I just need to find another ugly owl. Nicely done! Amazing the power of spray paint isn't it? I did the same thing with a thrift store fugly item. Kim, that is adorable. What a good idea. 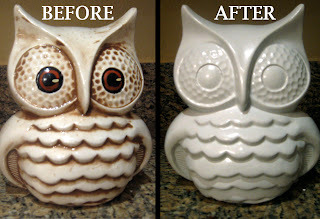 I have a ton of old random cheap pottery I am going to try this on. I want to do a grouping of all white on a baker's rack in my kitchen. OH my goodness! 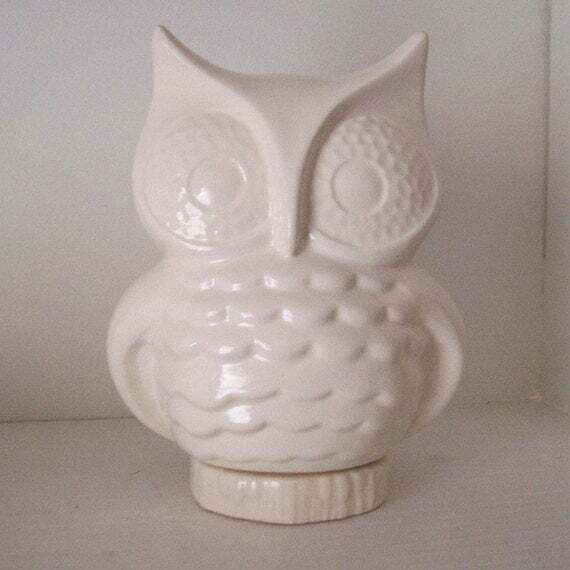 I found an owl at a thrift store just like that LOL. 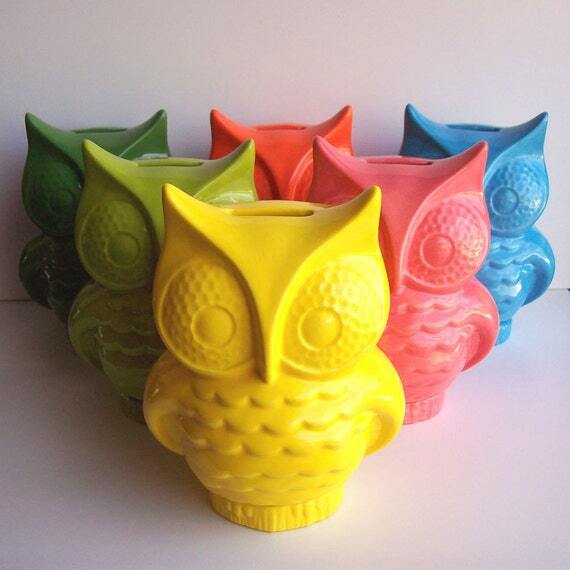 LOL, the Pinterest owl you linked to is mine! Love my owl and I love yours, too! Why are they always so ugly to begin with? But luckily, so easy to make pretty.